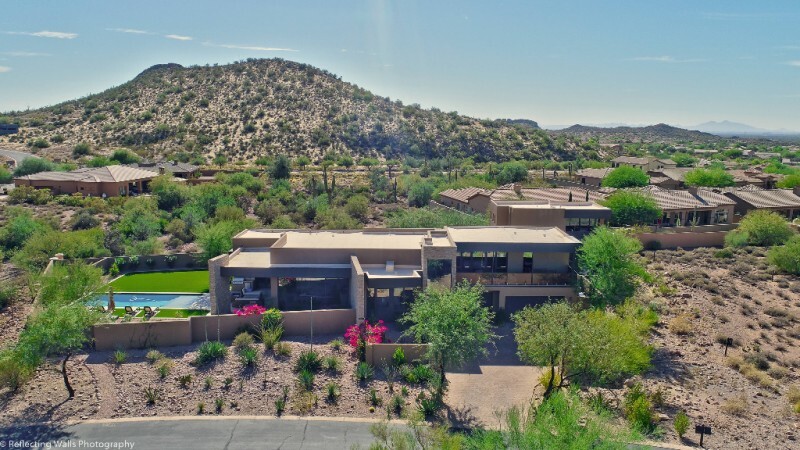 Sprawling design; Desert Resort-Style Living! 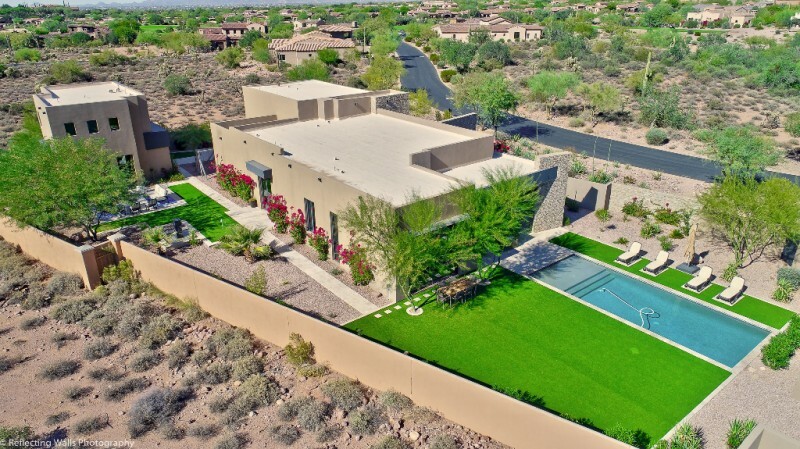 Newly added POOL; Surrounding walls; stone Pavers; and Guest House- which includes private kitchen, living room & patio. 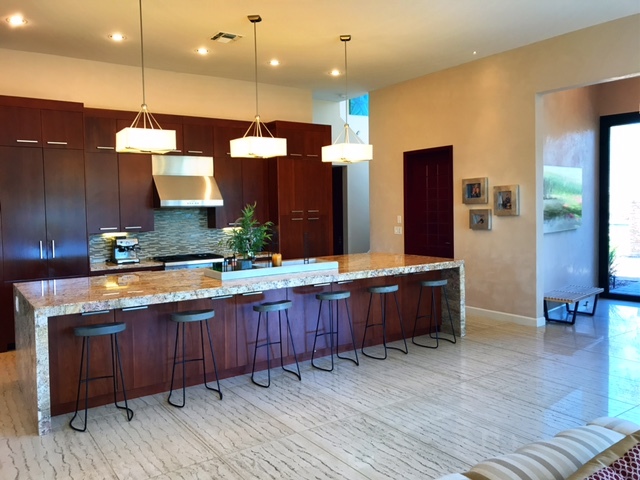 Like-new Main home offers Modern clean lines, open flexible living space, European cherry cabinetry, natural stone ext. 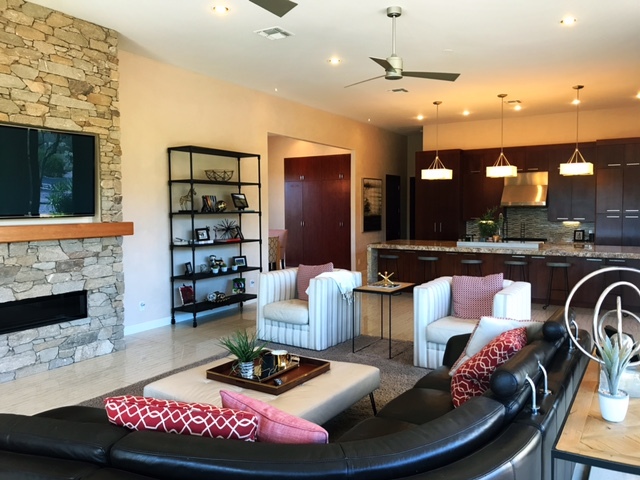 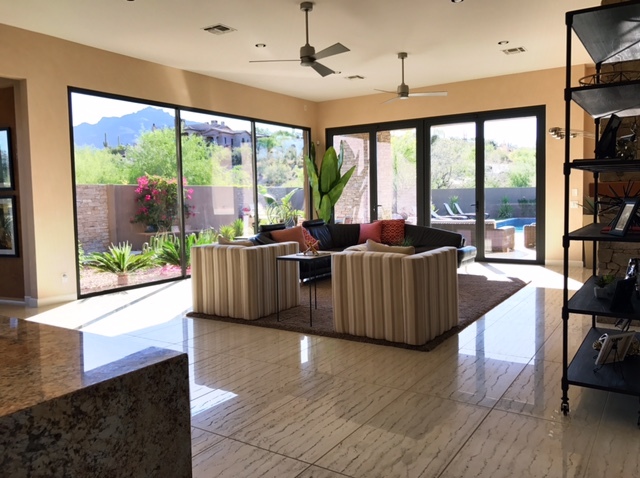 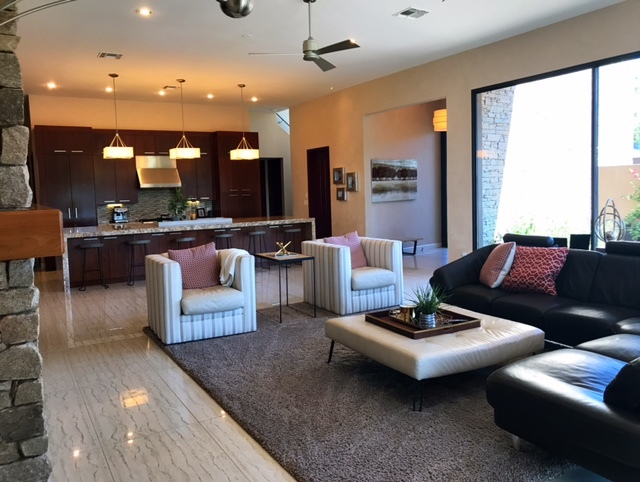 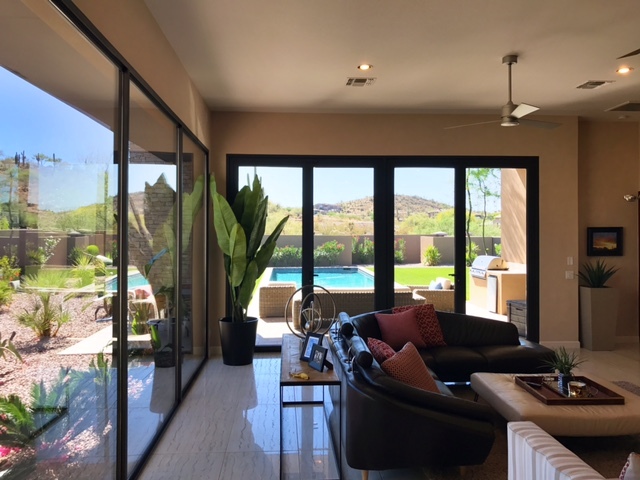 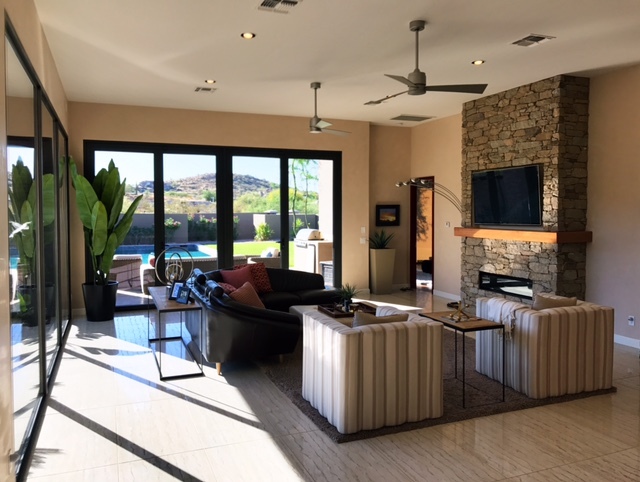 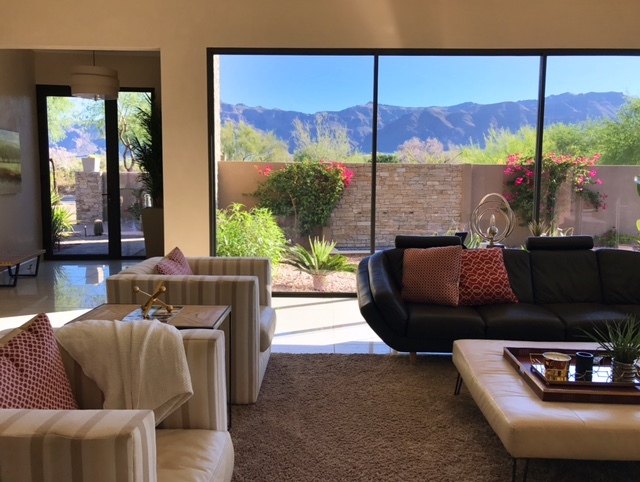 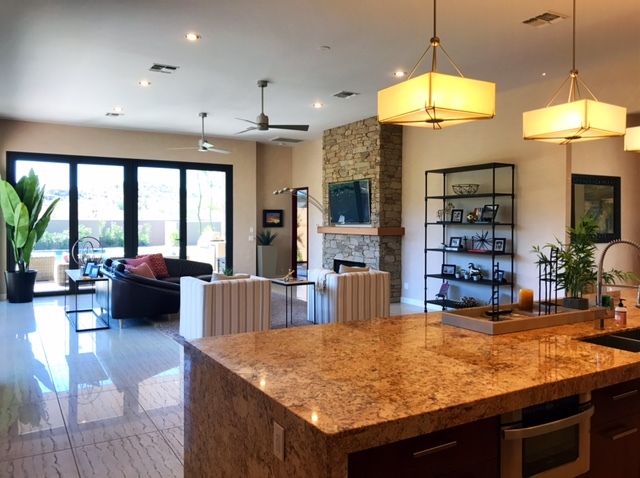 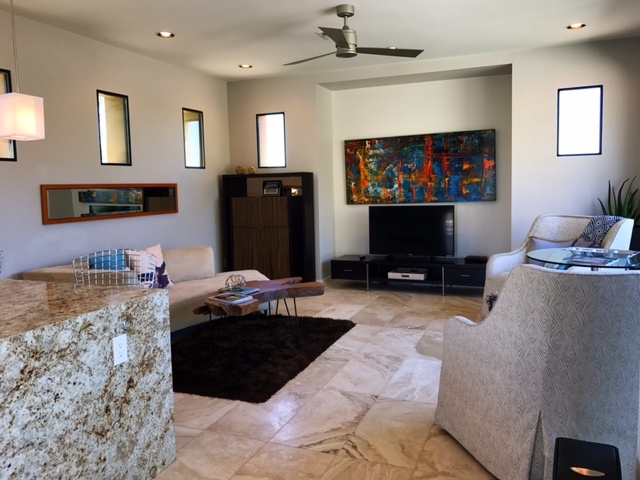 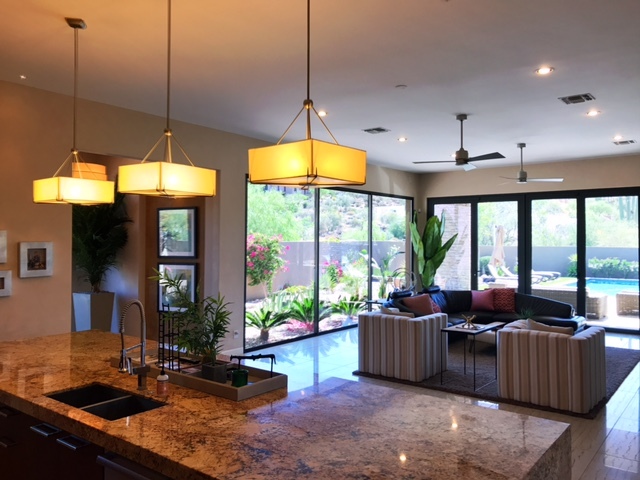 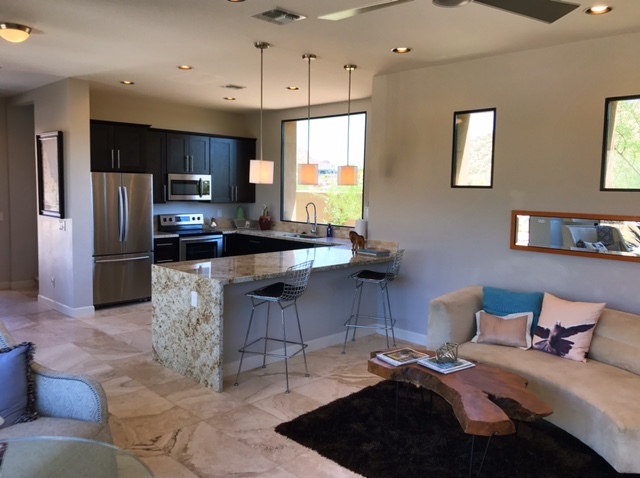 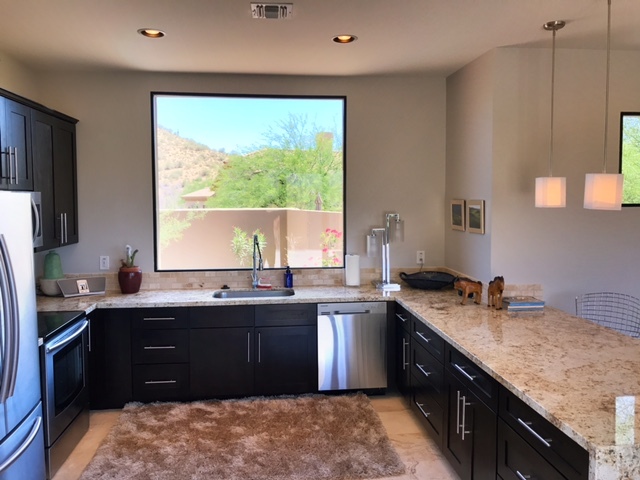 waterfall slab island, stone &cherry fireplace, huge floor tiles & bamboo floor, imported chrome plumbing fixtures, 10 ft tall glass walls making indoor/outdoor transitions. 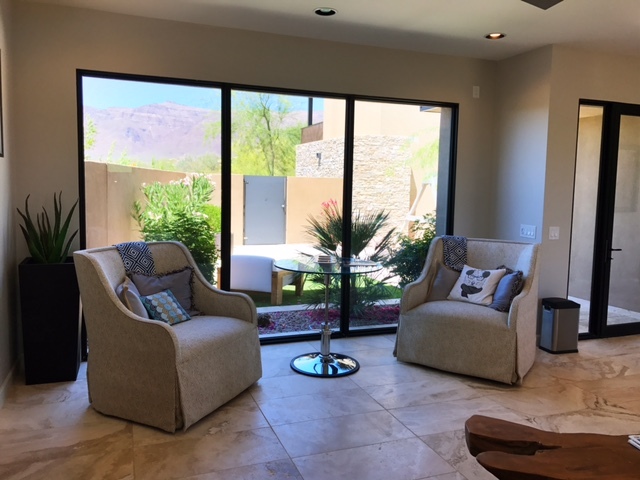 Abundance of exterior sitting areas, 7 to be exact, all being utilized! 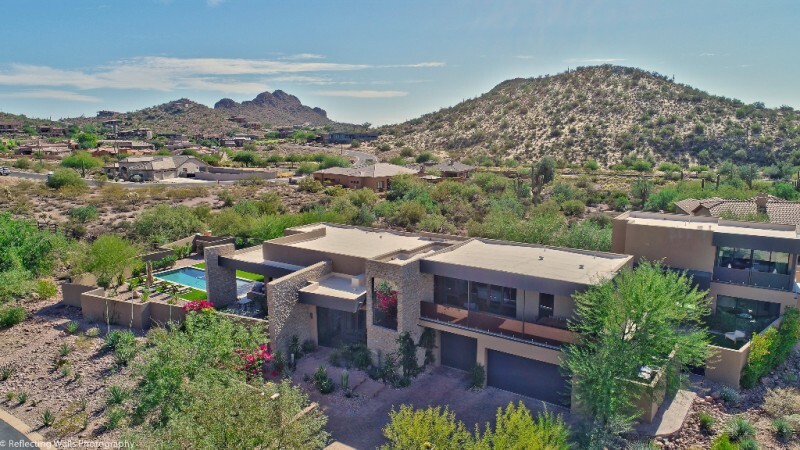 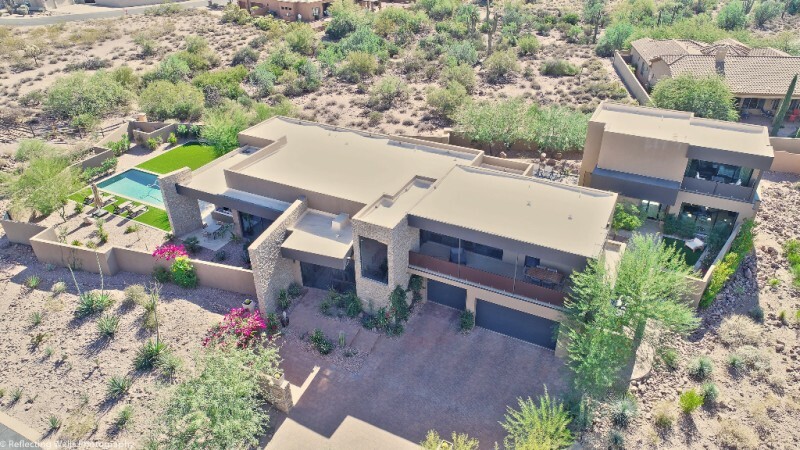 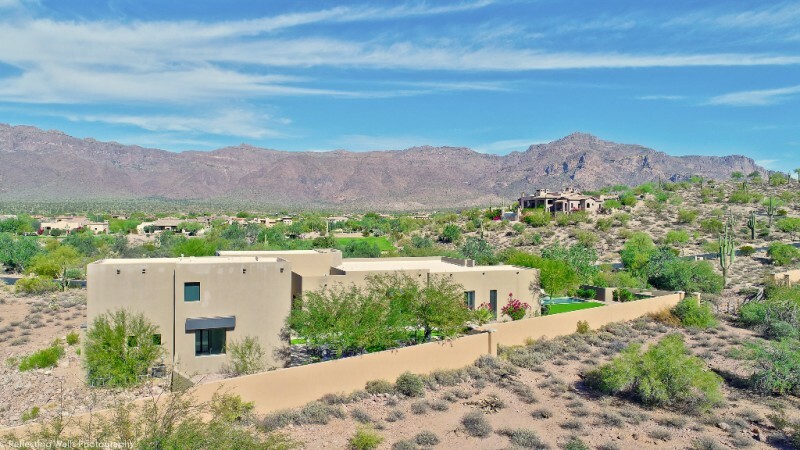 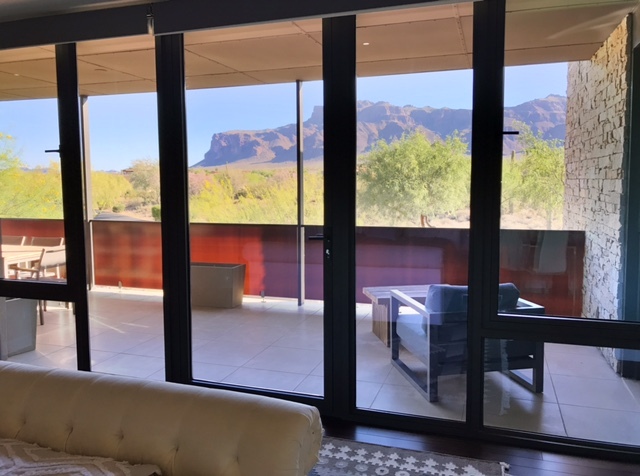 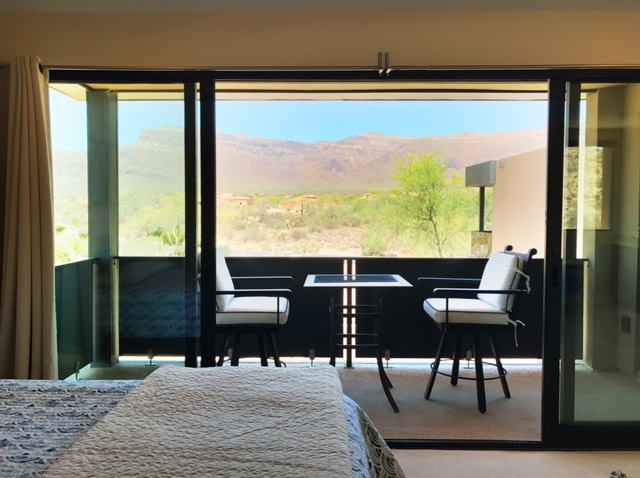 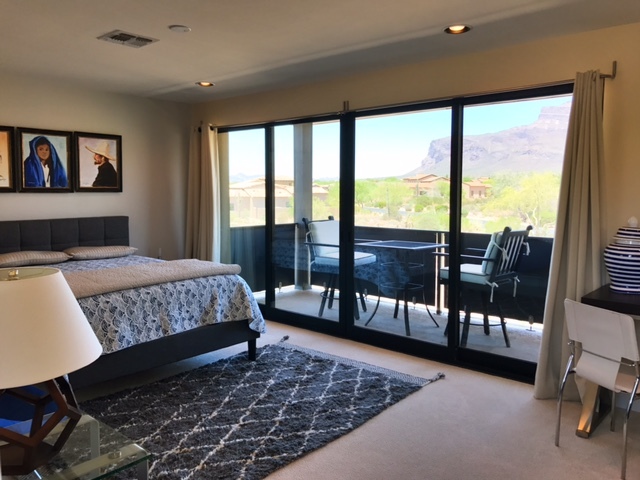 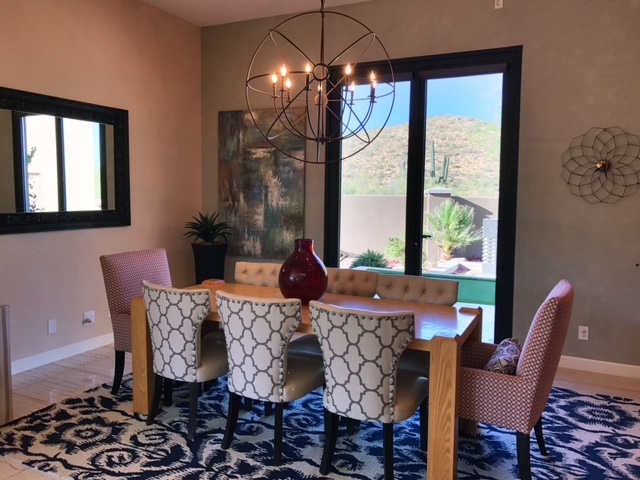 Located on 1 Acre of private Mountain VIEWS! 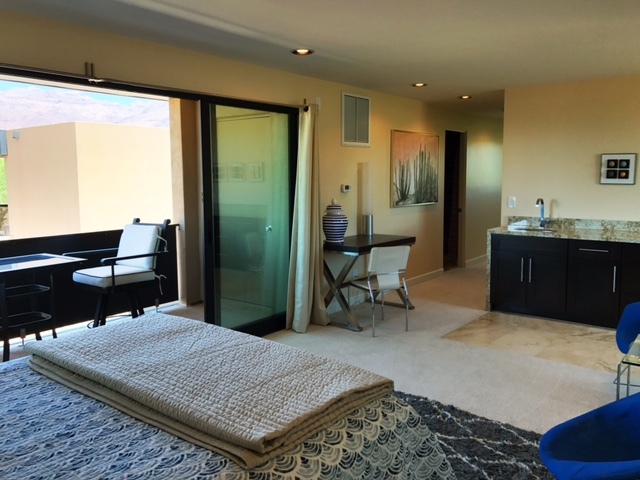 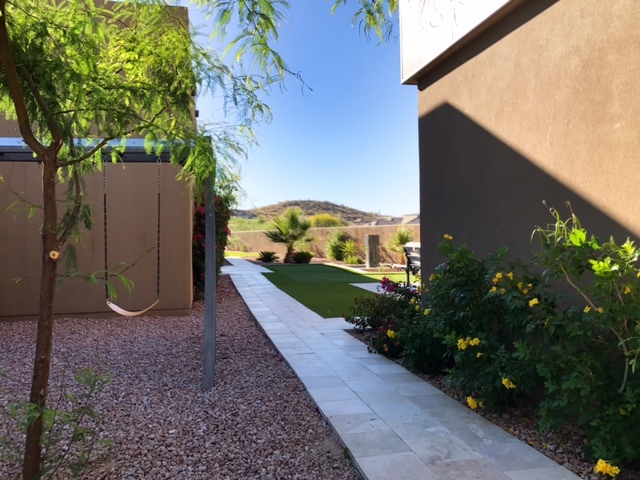 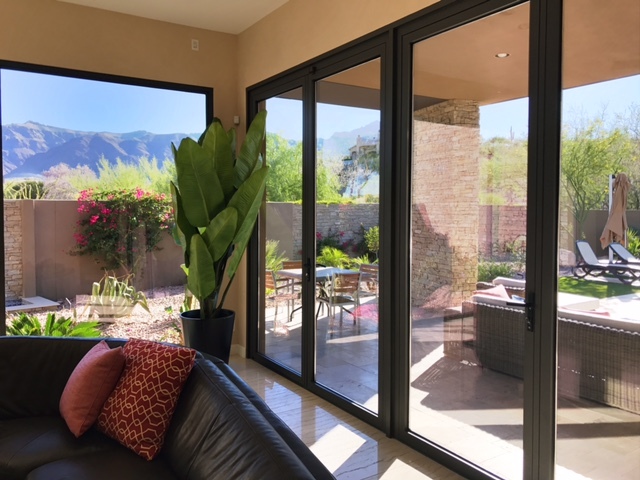 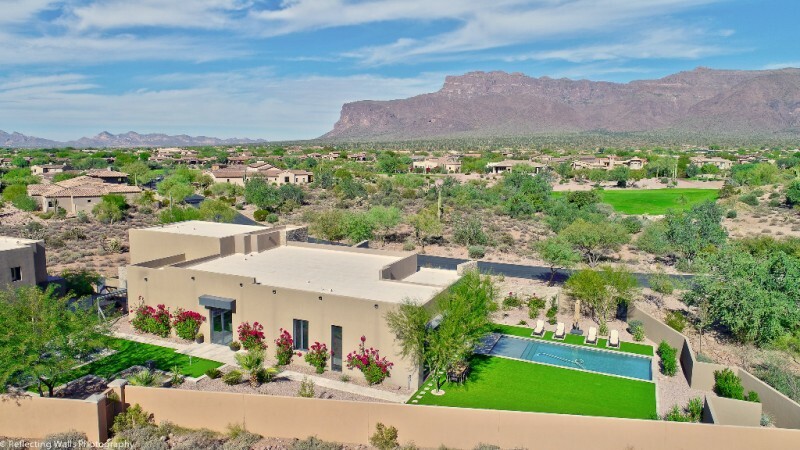 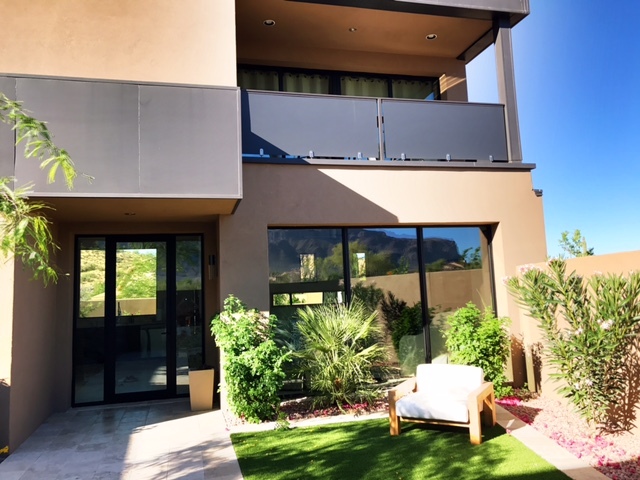 Within Superstition Mountain GOLF & Country Club is A Great Place to Live and Play! 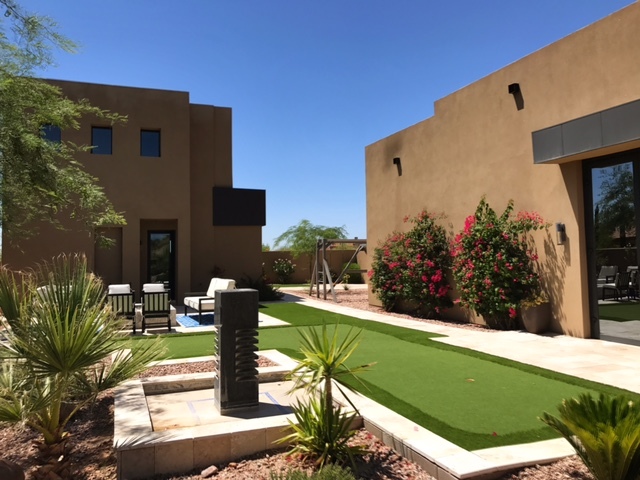 White travertine pavers, synthetic grass & putting green, firepit, 2 covered balcony's w/ City Lights, built-in BBQ, heated pool privacy!